A local fire company is getting ready to break ground on a new station later this month. The White Marsh Volunteer Fire Company has announced that it will hold a groundbreaking event on Monday, November 14, 2016. The event will be held at 11:30 a.m. at the General Motors Baltimore Operations plant, located at 10301 Philadelphia Road in White Marsh. 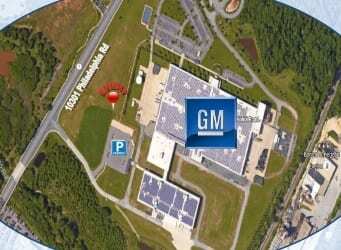 GM donated a portion of its land to WMVFC to be used for its new station. The current firehouse is more than 70 years old and hasn’t been able to keep up with the company’s day-to-day operating needs and the community it serves going forward. WMVFC responded to over 4,000 calls last year and is on pace to surpass that total in 2016. A brief reception will be held after the groundbreaking event.